A Merchant Account - This account is issued by a banking institution and allows your company to accept credit cards. If you don't already have a Merchant account you can apply for one online. A Secure Site Connection - This assures your customers that their credit card information can be submitted without danger of others stealing it as it travels across the Internet. 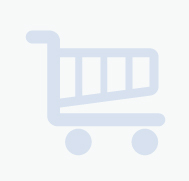 A Shopping Cart - A web page where your products and prices are listed and customer orders are received and calculated (including applicable taxes & shipping charges). Instant Credit Card Processing (Optional) - Although customer orders can be retrieved from your site and submitted manually by you, real time processing is available to fully automate transactions. The total charge for each customer's order is sent through the system for automatic approval or denial and funds transfer to your account. Still have questions? Click here to view FAQs. We do all of this with a competitive and understandable pricing structure. Get ready to expand your sales with e-commerce from Alpha Internet! "Shopping carts with scalability and business-class service level guarantees."